This article uses an extract from the entry about LI Sing and other members of his family published in the Dictionary of Hong Kong Biography. Both the author York Lo, and publisher, HK University Press, have given permission for this to be posted here. Please note of the images shown here only that of Li Sing himself was included in the original book article. The other images in our article come courtesy of York. Li Sing 李陞 aka Li Yuk- hang 李玉衡 b. c. 1827, Xinhui, Goangdong Province; d. 8 May 1900, Hong Kong. Merchant. Li Leong 李良 b. c.1822, ?Xinhui, Guangdong Province; d. 1864, ?Hong Kong. Merchant. Li Chi-tang 李紀堂also Li Po-lun 李寶倫 b. 1873 Hong Kong; d. 6 October 1943, Chongqing, Sichuan Province. Revolutionary. Li Po-chun 李寶椿 also Li Tsz Hi 李子禧 b. 15 August 1887, Hong Kong; d. 28 November 1963, Hong Kong. Businessman and philanthropist. In 1854, when the Taiping rebels occupied his hometown of Xinhui, Li Sing fled to Hong Kong to join his cousin Li Leong, who had been in business in the colony since 1842, trading Chinese artifacts. They founded Wo Hang, a firm specialising in shipping goods and emigrant labour to America, in 1857. 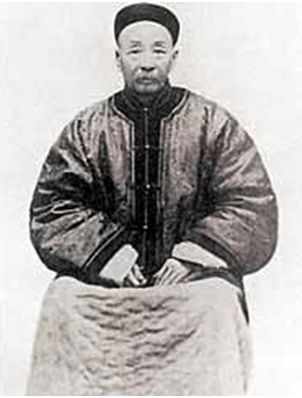 During the Second Opium War (1856-60) they contributed funds to the British forces and allegedly recruited Chinese soldiers to help them fight in north China; in return Li Sing and members of his family gained a share of the loot, including plundered relics from the imperial park of Yuanmingyuan. Over the years the Li family would donate large sums to various charitable causes in China, but because their sources of wealth derived from their association with foreigners (which was considered disloyal to China’s interests) they were at odds with the Chinese authorities on a number of occasions. When Li Leong died in 1864 at the age of 42, Li Sing took over the business and his fortune grew with the acquisition of monopoly interests in gambling and opium. He and his family also accumulated real estate, beginning with a modest lot in the Upper Bazaar in 1854 and extending to substantial holdings in the Central and Western districts, marked by streets that were developed by them, such as Li Sing Street, Ko Sing Street, Wo Fung Street, Kom U Street and Li Po Lung Terrace (named after Li Sing’s fourth son Po-lung). The steady rental income from these properties helped them survive the collapse of the American Trading Company of Borneo, which had been funded by Li Sing and Pang Wah-ping, an opium trader, in 1865 to develop a concession in Borneo granted by the Sultan of Brunei. Li’s consequence as a property owner is shown by the fact that he was the largest ratepayer in the colony at the peak of the property bubble in 1881. In 1889 he was one the founding directors of Hongkong Land. in 1877, with his business partner Ho Amei, Li Sing established the On Tai Marine Insurance Company, the first Chinese-owned insurer and also the first Chinese firm to join the Hong Kong General Chamber of Commerce. They diversified into other ventures, such as mining and telecommunications, by establishing the Wa Hop Telegraph Company, which laid the first telegraph line in Guangdong but was absorbed by the Chinese government within two years. 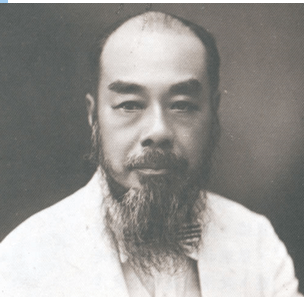 Like many of his wealthy peers, Li Sing involved himself in good causes, co-founding the Tung Wah Hospital in 1869 and the Po Leung Kuk in 1878. When he died in 1900, his estate was valued at over $6 million, which was more than three times the annual revenue of the Hong Government at the time. Li Sing’s eldest son, Po-kwong, inherited the bulk of his father’s fortune, which later passed to his son Lee Sai-wah (1912-1975), a flamboyant character who developed several streets in North Point and owned a large part of the island of Ma Wan. He was the owner of the first Rolls Royce in Hong Kong. Li Chi-tang, Li Sing’s third son, started out working for the Japanese shipping firm Nippon Yusen Kaisha but devoted his life to revolutionary causes after being persuaded by his journalist friend Tse Tsan Tai to join the Revive China Society (Xingzhonghui), which he served as treasurer. In 1900 he financed the publication of the revolutionary newspaper, Chung Kuo Jih Pao and contributed over $30,000 to the Huizhou uprising. In 1903, having been convinced by a fengshui master that he would become emperor, he reportedly contributed half a million dollars to a failed coup in Canton led by Tse and Taiping veteran Hung Chuen-fook, which wiped out most of his inheritance. He continued to supply ammunition for the Canton and Huanghuagang uprisings in 1910 and 1911 and lent his farm in Castle Peak as a hideout. Together with family friend Wei Yuk, he served as the conduit between Governor General Li Chun and revolutionary leader Hu Hammin in 1911. Following the peaceful surrender of the Manchu forces in Guandong, he was rewarded with positions in the revolutionary government and in the 1920s and 1930s served in a number of official positions in Guandong Province. In 1940 in moved to Chongqing to take up an appointment by Ching Kai-shek to the Overseas Compatriots Affairs Commission, which organised funding and support from overseas Chinese. He died there in 1943. 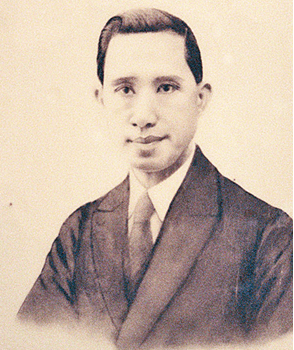 Li Sing’s eighth and youngest son, Li Po-chun, established Li Po-chun Estates, which developed a number properties, including Li Po Chun Chambers in Sheung Wan. His charitable donations funded the establishment of the Ling Yuet Sin Creche for infant children of working mothers (1936), a children’s hospital in West Point (1940), the Li Sing Primary School (1955) and the Li Sing Tai Hang School (1958). On his death in 1963, he left a large portion of his estate to the Li Po-chun Charitable Trust, which continues to provide funding for many institutions to this day, most notably the Li Po-chun United World College. This article was first posted on 18th October 2017.